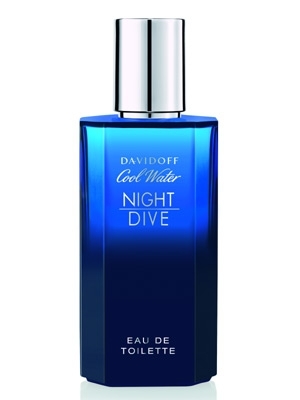 The iconic Davidoff fragrance Cool Water from 1988 gets its “nocturnal” flankerCool Water Night Dive in 2014. The fragrance interprets that aquatic and natural character of the original through the prism of night mystique and powerful forces of nature. The man od this fragrance is at the peak of his attractiveness; his charisma is like a magnet that attracts women. The fragrance is available as 50, 75 and 125 ml Eau de Toilette with accompanying cosmetic products.